The winemaker at Cascina degli Ulivi took over the family farm in 1977 and immediately started farming organically, and eventually, biodynamically. Part of what it means to be a biodynamic farm is to raise more than one crop, and in addition to growing grapes for wine Ulivi has other types of fruit, vegetables, grains, cows and chickens. Something about wine made on a real working farm just tastes more real, and Ulivi’s “Semplicemente” Rosso is no exception. 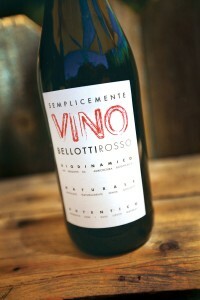 This blend of Barbera and Dolcetto, made in Piedmont, is full of dark berry and bramble flavor. The wine is pleasantly sour and fresh and a great match for FatFace’s eggplant sandwich. Order a glass for $9 (or a bottle for $45!) and take a seat on the delightful Bows and Arrows patio with some friends. Learning about wine is a life long pursuit. For me it is appealing, rather than frustrating, that I can never know everything there is to know about wine. I like that I can study it into my twilight years. One reason one can’t learn it all, is that the wine world in always in flux. For instance, France is littered with wine villages and appellations; occasionally a region will get a promotion in status and stateside importers will take notice. Thus previously unknown appellations like Coteaux du Quercy will appear on local wine shelves and you get a chance to try it for the first time! 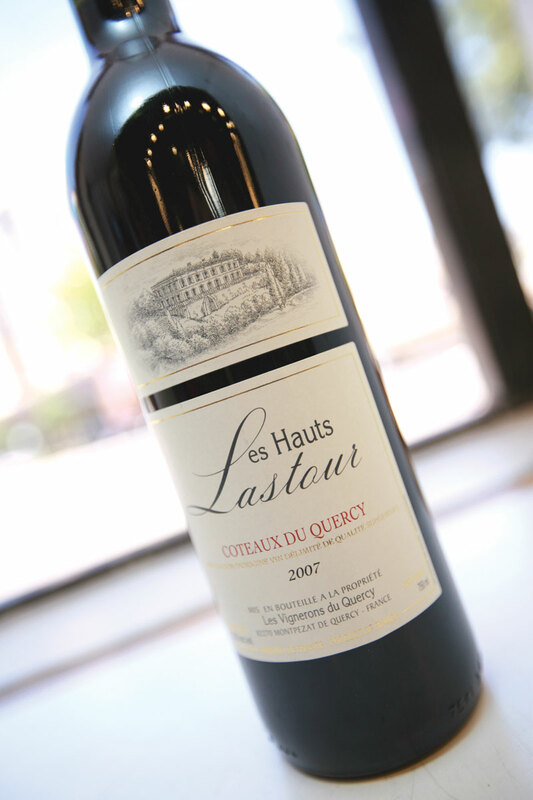 This blend of Cabernet Franc and Merlot is made in the SouthWest region of France, at a regional co-operative winery. Co-ops purchase grapes from multiple growers and blend them all together. It’s not estate-made terroir-driven wine, but it has a taste unique to Quercy and an inexpensive price tag ($10.99 at the Sacramento Co-op). At 12.5% alcohol, it is an excellent summer red; crack it open with some hamburgers.